Our historic event venue still has open dates! 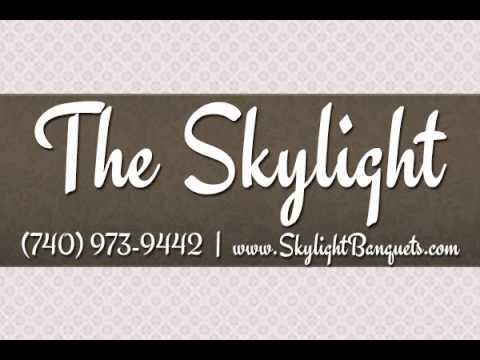 The Skylight is Newark's historic Banquet Hall and Wedding Venue designed especially with your special event in mind. The skylight was originally The Newark Post Office in 1916, and years later became the Newark School Administration Offices until present day. The Skylight is a beautiful wedding venue in Newark, OH offering wedding receptions and banquet rooms in a stunning facility made of marble floors and pillars. The front room is where the namesake of the facility comes from, the breathtaking Skylight which gives a unique, historic elegance to the space. Then you are introduced to the main banquet room, where your guests will dine and dance the night away on the beautiful hardwood flooring. This reception hall seats 400 people and has a magnificent 22 ft. ceiling along with the original 15 ft. tall windows. You can stop your search for event and party venues because our reception and banquet hall has room everything you need to enjoy the wedding of your dreams.